SUD OUEST DIMANCHE - TV HEBDO. 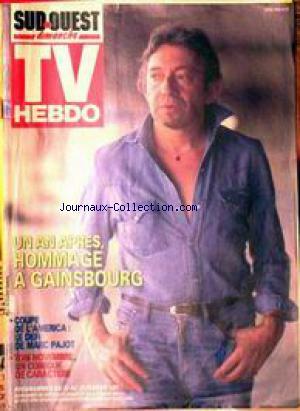 UN AN APRES - HOMMAGE A GAINSBOURG. TOM NOVEMBRE UN COMIQUE DE CARACTERE.